You are here: Home / Insurance / 7 major reasons why you need Travel Insurance while travelling abroad! Although travelling to a new place can be very exciting, lack of proper planning can put one in peril in a foreign country. A lot might occur during the travel which can be beyond one’s control. Losing one’s passport and baggage, encountering a medical emergency or getting trapped in a natural calamity are only a few instances that can leave a traveller emotionally and financially distressed. The financial support however, that comes with a travel insurance plan, can mitigate this stress. Inclusion of travel insurance therefore, shouldn’t be missed out while preparing a travel checklist for it will provide a cover against a number of odds that might occur in a far away land. 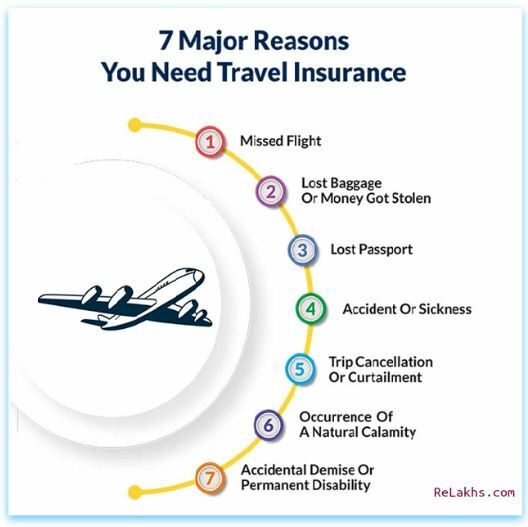 Keeping that in mind, let us discuss 7 major reasons that stresses on why travel insurance is necessary. Importance of Travel Insurance while Travelling Abroad! Delays occur due to several reasons – bad weather, rainstorms, terrorist attacks, or signal failures. This can result into missed flights or being unable to reach the destination at a desired time. This may further lead to additional trip expenses that one might have to pay out of one’s own pocket in the absence of a travel insurance plan. It is therefore wise to secure the trip with travel insurance which financially compensates for the uncertainties. There has been a fair share of incidents where travellers’ baggage has been misplaced by airlines. The worst part is when the money gets stolen. This leaves one helpless and with no other choice but to buy new essentials on an urgent basis which again leads to additional expenses. These unplanned expenses however can be reimbursed if one has kept travel insurance in place. Losing one’s passport in a foreign country can instantly send one in a state of panic. It is however advisable that one calms down and quickly informs the concerned authority and obtains a duplicate passport. The expenses incurred on obtaining a duplicate passport will of course be too much. But here again, travel insurance will come to one’s rescue and reimburse the necessary and reasonable expenses in connection with it. Meeting with an accident or coming down with an illness while touring in a foreign country can be very frustrating. It not only spoils the fun of exploring a new place but also disturbs the travel budget because one may incur heavy medical expenses to recover from the injury or sickness. While a travel plan cannot give back the time lost on such recovery, it can at least reimburse one the customary medical expenses as applicable under a chosen plan. Say, an emergency occurred before one could embark on the much awaited trip. Or one got calls from the homeland informing of an emergency while already on the trip. Such emergencies might lead to cancellation or curtailment of a trip which eventually leads to a loss because the payments have already been made. However, with a travel insurance plan, one need not worry because it will provide for the expenses or losses incurred on such cancelled or curtailed trips. Note: Only the emergencies of extreme nature are generally covered under travel insurance. For example, sudden demise of a family member or the travel partner needs to be taken to home country for immediate medical attention. Natural disasters like tsunami, tornadoes, earthquakes, volcanic eruptions, etc. are the second most leading causes of damage to oneself and the property during a trip abroad. While this can totally ruin one’s travel plans, a trip secured with travel insurance will ensure that the expenses and losses incurred thereof will be reimbursed thereby providing a much required financial relief. Note: Reimbursement will not be made if one chooses to travel to a location where a certain natural calamity was predicted to take place around the same time as you have chosen to travel. Although one cannot always control life’s uncertainties, it is best to be prepared for the worst. An accidental death or a permanent disability while travelling abroad can leave one and one’s family emotionally and financially shattered. While the emotional vacuum can never be filled, a travel insurance plan will provide a financial assistance to the grieving family in case of an untimely demise. Usually a percentage of the Principal Sum Insured is paid if death or disability occurs due to an accident during a vacation. To conclude, Travel Insurance is an integral part of an overseas travel and should always be the first thing on one’s mind while planning for a trip. To ensure one is backed with a suitable travel insurance plan, one must check the available options online. Make comparisons based on the requirements. The plan MUST cover at least the above discussed events. Another important thing needs to be kept in mind while selecting travel insurance plan is that one must not select any random plan just because it is mandatory to have insurance in the country one is travelling to. One must also not select a plan whose premium amount is comparatively lesser against another plan that offers a reasonably higher coverage. For example, Plan A offers Rs 15,00,000 Sum Insured at a premium of Rs 1,000 and Plan B offers Rs 30,00,000 Sum Insured at a premium of Rs 1,500. 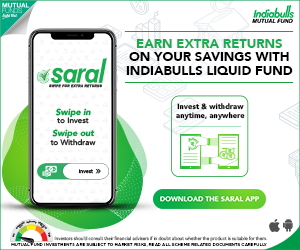 Here, one might be inclined to opt for Plan A to save on premium by Rs 500 (especially if one is opting for travel insurance just for the sake of it) but when the emergency strikes during the trip, Plan B will help one save considerably more because it will pay Rs 15,00,000 more as the sum insured, thereby providing a larger financial protection. The plan should be chosen keeping this aspect in mind. If required, an expert must be consulted. 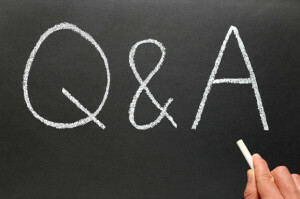 This is a guest post by Maria of OneInsure.com. OneInsure is the online brand of Robinhood Insurance Broker – a reputed name in the insurance industry with over 10 years of experience and a presence in 8 major cities of India. Their sole aim is to provide superior service to their clients by offering a One-Stop-Shop for all their insurance needs – through their OneInsure app. The app proposes the users to move beyond the celebrated concept of compare & buy. It offers 60+ insurance services from storing insurance policies to getting claims assistance. The services are available to all the policyholders irrespective of whether you have bought the policy from OneInsure or from elsewhere. Maria Panwala is a content writer and copy writer at OneInsure who specializes in blogging and writing about diverse finance subjects like insurance and investments. Her passion for accountancy, taxation and the English language pushed her to pursue B.Com from Maharaja Sayajirao University of Baroda and later MA from SNDT Women’s University. When she’s not writing or reading, you can find her binge watching television shows, movies and documentaries and exploring the streets of Mumbai. Kindly note that ReLakhs.com is not associated with OneInsure. This is a guest post and NOT a sponsored one. We have not received any monetary benefit for publishing this article. The content of this post is intended for general information / educational purposes only. Maria Panwala is a content writer and copy writer at OneInsure who specializes in blogging and writing about diverse finance subjects like insurance and investments. 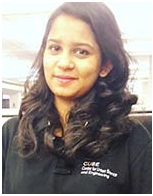 Her passion for accountancy, taxation and the English language pushed her to pursue B.Com from Maharaja Sayajirao University of Baroda and later MA from SNDT Women's University. Wonderfully put, again. Will buy my insurance right away. But first need to go travel abroad :P. Jokes aside, clears all my doubts and provides a succinct picture of what is needed. Travel insurance can ease your anxiety because you know you have protection in case of common travel mishaps.Very useful post.